Don't miss out on this beautiful home in the highly sought after Encanterra subdivision! This is an adorable well maintained 2 bed,2 bath home, that offers a PRE-PAID Shea Solar lease for amazing energy efficiency. Home features warm and neutral colors throughout, gorgeous granite in the kitchen, staggered cabinets and stainless steel appliances make this home perfect. Over-sized laundry room with large pantry, laundry room can also be used as your office. 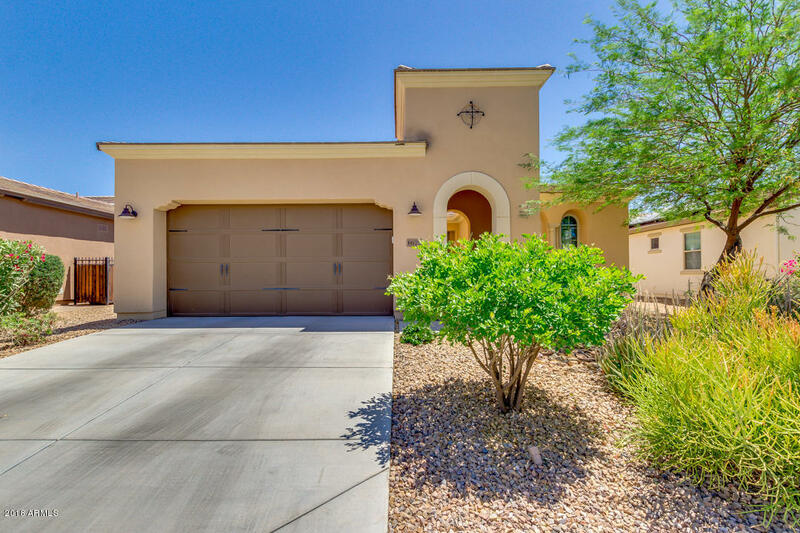 The well maintained backyard is perfect for entertaining, featuring a built in BBQ surrounded by mature citrus trees, cuddle up to your gas fire pit on those chilly Arizona nights. So don't miss out on the opportunity to live in this charming home in this very social subdivision. Call today for an appointment.